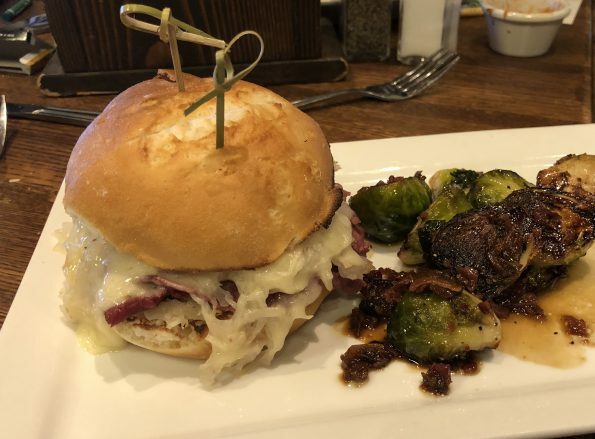 I have yet another celiac-friendly restaurant for you that I was seriously surprised to find out was safe – Tavern on France in Edina! I had been to this restaurant pre-diagnosis and had maybe heard that they had some gluten-free options. This visit was a total last minute decision to have an early dinner with the kids and some friends after gymnastics class. I figured I wasn’t that hungry and if worse came to worse I could just get something to drink. 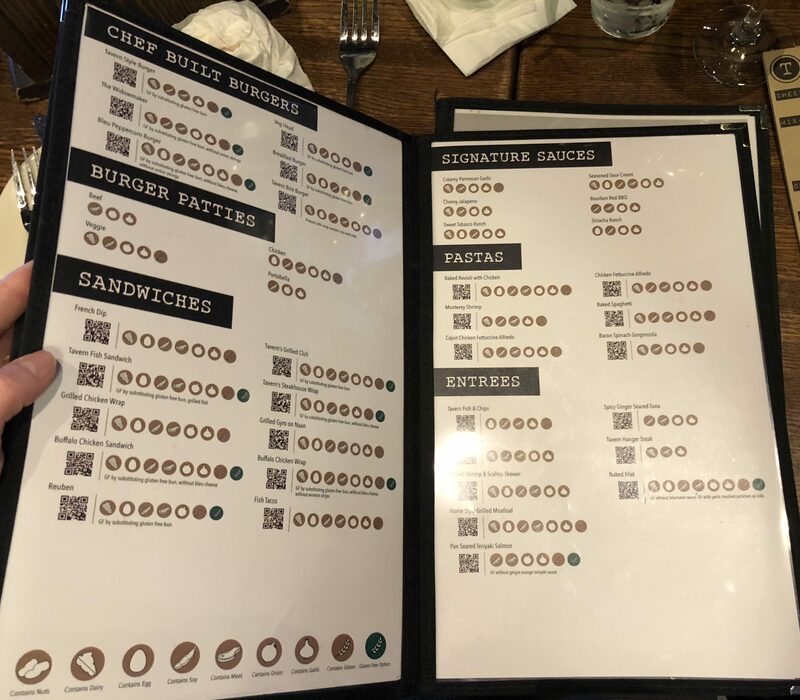 I didn’t even think to ask if they had a gluten-free menu so I wasn’t finding much on the regular menu. 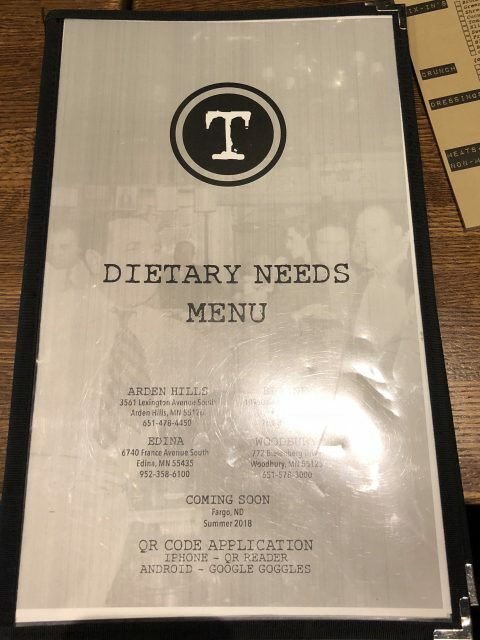 Except for the fact that they offer a gluten-free pizza crust, so great! Our waitress came over and I told her I had Celiac Disease and she said she would get the allergy menu for me. 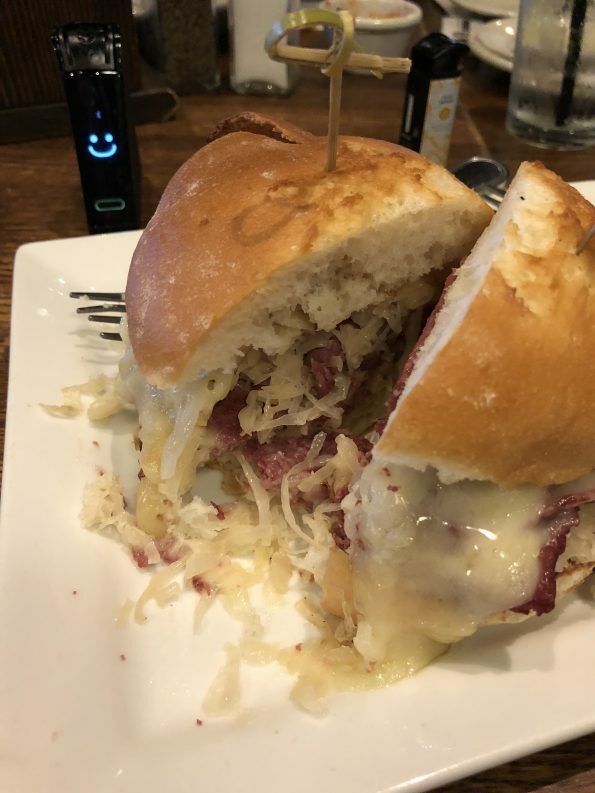 I was thinking about getting just a salad as that is usually a safe option, but I figured that I had my Nima with me so I would really try something that I haven’t had luck with in the past – the Reuben sandwich. 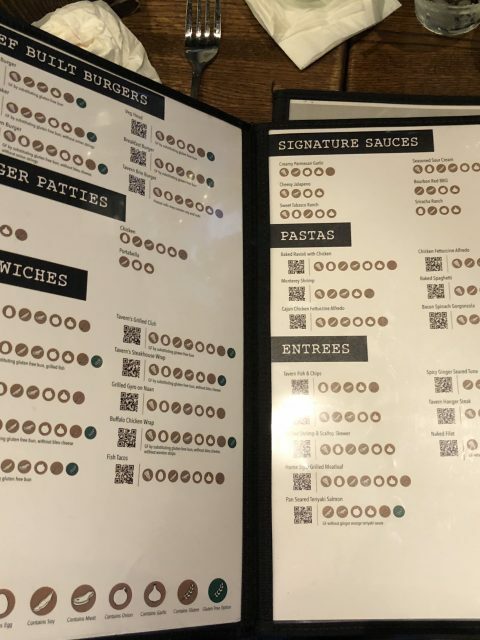 All of their burgers and sandwiches come on the same bread option which is a repackaged bun that is similar to the one you get at Culver’s. For sides, their fries are in a shared fryer so those are out, but they have cole slaw, mashed potatoes, maple bacon brussels sprouts, (and maybe one other one I’m forgetting). I decided to go with the sprouts. I tested a little portion of each part of my sandwich, the bread, the kraut, the meat and the dressing. Everything came back good. I also tested the sprouts and those also came back good! So happy to know there is yet another restaurant that passes the test!! Tavern has four locations in Minnesota and it looks like they have another one opening in Fargo, ND soon!